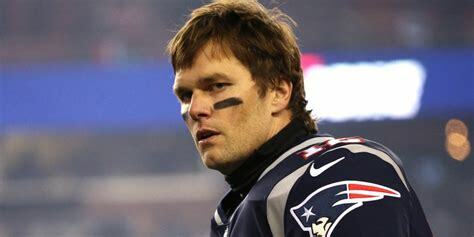 Tom Brady is an American football quarterback who plays for the New England Patriots. Brady played college football for the University of Michigan, and was drafted by the Patriots in the sixth round of the 2000 NFL Draft. He has won six Super Bowl Championships, four Super Bowl MVP Awards (Super Bowl XXXVI, XXXVIII, XLIX, and LI) and three league MVP awards (2007, 2010, 2017). He set a Super Bowl record at Super Bowl XLIX with 37 completions in the game while also setting the record for career Super Bowl touchdown passes with 13. In 2007, he modelled for the Stetson cologne, and has endorsed brands including Under Armour, Ugg, Movado Watches, and Glaceau Smartwater. Born Thomas Edward Patrick Brady Jr. on August 3, 1977 in San Mateo, California, to parents Galynn Patricia (Johnson) and Thomas Edward Brady, he was raised as a Catholic. He has three older sisters, Julie, Nancy, and Maureen. He is of Irish descent on his father’s side, and of German, Norwegian, Polish, and Swedish descent on his mother’s side. He attended Junípero Serra High School in San Mateo, and graduated in 1995. He married supermodel Gisele Bundchen in 2009. They have three children: daughter, Vivian, and two sons, John and Benjamin. Birth Name: Thomas Edward Patrick Brady Jr.
*He was born on August 3, 1977 in San Mateo, California, USA. *He played football, baseball, and basketball in high school. *He was drafted by the NFL’s New England Patriots in 2000. *Became the first player in NFL history to win six Super Bowl championships. *People Magazine named him one of the top 50 Most Beautiful People in the World in 2002. *He was named the Associated Press Male Athlete of the Year for 2007. *Longtime friends with Donald Trump.